WFSA: You have been involved with various UK and international nursing and perioperative organisations. Can you tell us about how you became involved and why you are advocating for patient safety? Mona Guckian-Fisher: I’ve been a nurse working in and around the perioperative environment for almost 40 years and working collectively as a team in this environment is crucial for patient safety. 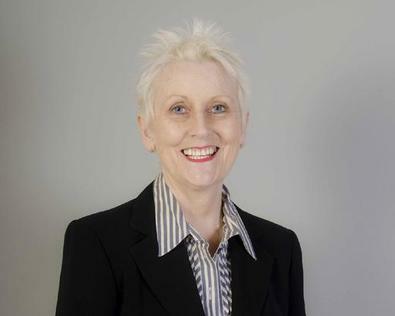 I have worked in NHS and Independent sectors as a theatre sister, manager, Matron and independent consultant helping organisations to address practice and safety issues, undertake audit and prepare for CQC inspections, advising on improvements in process and clinical standardisation within perioperative healthcare and also providing general support with education and training. In 1989 at University College Dublin, I undertook the first health and safety course of its kind in Europe, which coincided with the introduction the first health and safety legislation in Ireland, similar to the 1974 UK Legalisation. It was a real eye-opener because there wasn’t a great deal of discussion on these issues prior to that time. As a staff nurse working in theatre this was the beginning of my engagement in all aspects of patient safety, and staff welfare and I am strongly of the opinion that they are inextricably linked. 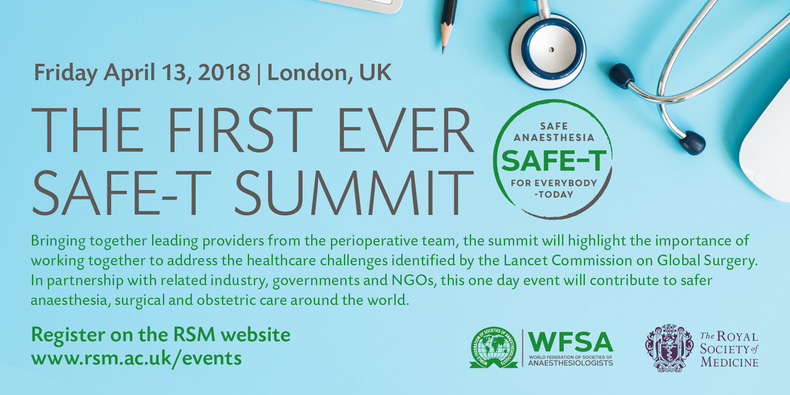 WFSA: What is your approach to improving patient safety in the perioperative environment? MGF: When I began, I was very frustrated because I wanted to make changes immediately within my own environment and soon learned that I had to take a leadership role to make this happen. As a theatre staff nurse at the time, this did present some challenges with both my managers and my colleagues. I also had to learn to identify which battles were priorities to pursue and the best ways to achieve the desired outcomes. And above all I had to practice patience, which wasn’t easy for the young woman on a mission that I was at the time! Whenever I speak with people in relation to making changes in practice or culture I always tell them that ‘It begins with me’ to explain individual responsibility in improving safety. The standard I walk past is the standard I accept, so I had better be clear on the required standards of care, and be seen to be taking action and leading the changes that I’m seeking to implement. Setting a good example and a “do as I do” motto goes a long way in engaging colleagues and encouraging a safety critical approach within the operating theatre. Often improvements begin by making small changes to practice. Going back and finding that people are emulating things that I have taught in relation to best practice and patient safety is the greatest compliment in the world. WFSA: Can you tell us more about what organisations you work with and their impact? MGF: When I came to England I joined the National Association of Theatre Nurses (NATN) as it was called at the time. In 2005 it changed from an all nursing organising to also incorporate Operating Department Practitioners (ODP) and we are now known as The Association for Perioperative Practice (AfPP). I have had the privilege of serving as a Trustee for many years and as the immediate past President I’m still involved with AfPP and speak to members across the country with great regularity. AfPP is the leading perioperative organisation in the UK setting and providing the standards for safe practice to more than 7,000 members. In terms of international work, I am a trustee of Friends of Africa Nursing (FoAN), a small UK Charity started by a previous AfPP President over 20 years ago. The small volunteer group are a force to be reckoned with and run education programmes, provide online training, information and standards, to many countries in Africa. They have to date actively engaged with more than 2,000 African nurses providing training education and support. I have served on the board of the European Operating Room Nurses Association (EORNA) and the International Federation of Perioperative Nurses (IFPN) as the UK representative. I am the IFPN incoming President representing over 100,000 perioperative nurses and take on this role next month. The next three years will provide opportunity to continue engagement with the World Health Organisation (WHO) and the International Council of Nurses (ICN), amongst others, to provide the voice for perioperative nurses across the globe. When I was contacted by AAGBI and invited to attend the SAFE OR project meeting, I was delighted to accept on behalf of AfPP. I could immediately understand the value of working with anaesthetists and surgeons to plan and deliver education and support programmes for the international community. My colleague Tracey and I travelled as part of an innovative dynamic team together with three anaesthetists and three surgeons, to Addis Ababa late last year and again in February this year; Tracey and Lisa from AfPP accompanied the anaesthetists and surgeons on the second part of this trip. Within this initiative, it is essential to include the nursing perspective. We need to have a voice that is heard and recognised; each member of the team has their own role to play, and that includes how our counterparts in Ethiopia are going to be trained, mentored and supported to be the next generation of teachers and ambassadors for their own communities. Empowerment is the key and the focus. Within the operating team you can have the finest surgeons and anaesthetists but if you do not have your support staff, nothing can happen. This reality has been neglected in many ways by healthcare organisations, but thankfully now is beginning to be recognised. Not to engage with nursing colleagues and ODPs as part of the perioperative team is in itself a safety critical issue. Team training needs to include all team representatives. WFSA: Do you think the rest of the surgical team are beginning to include the voice of nurses more? MGF: Yes, and I am grateful that the anaesthetists do recognise that this crucial element of the team is what was missing. However, there’s still a big gap in terms of education and support in low and middle income countries, and it’s important to share standards and help support staff in these contexts because for the most part, nurses are not empowered. The SAFE OR training delivered in Addis Ababa was excellent in that respect, with very knowledgeable and skilled people educating local health workers to be the educators and facilitators of patient safety and good practice going forward. The course also empowers people to be the leaders of the future. 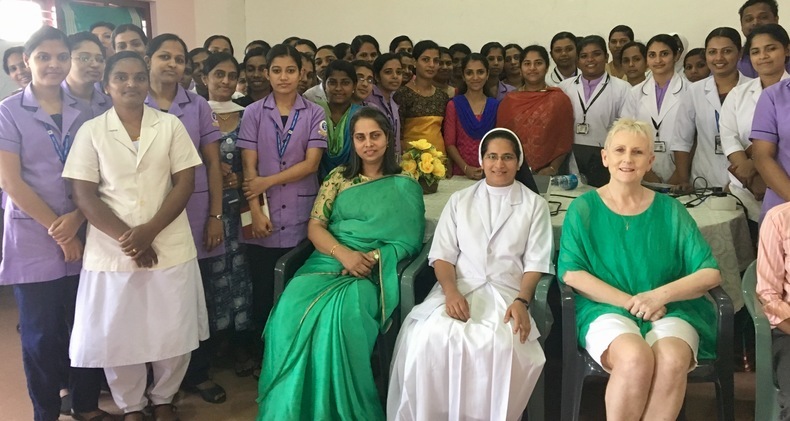 I have also spent several weeks in India over the past two years with my colleague Minija visiting numerous hospitals across Kerala. This was a phenomenal experience, highlighting the demand for this kind of training, mentoring and support for nurses in perioperative practice. We have plans which are ongoing to establish a perioperative nurses association that mirrors AfPP UK; one that supports nurses to communicate with each other and set some national standardised practice, as the UK association did almost 60 years ago. When I was out there, I met with a number of bright nurses who want to be involved in establishing the association and we aim to launch the Indian Association of Registered Perioperative Nurses (IAoRPN) at the 66th Cardiothoracic and Vascular Conference in Chennai in February 2019. 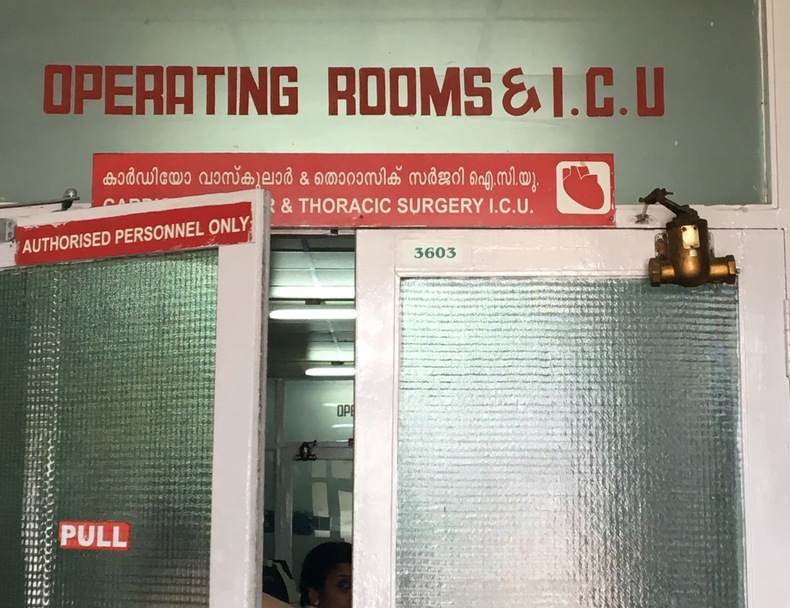 It goes without saying that this would have been a much greater challenge for us if we didn’t have the unwavering support of the cardiac surgeons across India and internationally. Like I said earlier, ‘it always begins with me’, in this instance it began with what I call the power of 2. We created a new handle for ourselves to keep us reminded and motivated (#MiniMo). WFSA: What will be your keys message during the SAFE-T Summit? MGF: My key message is to say that the team is fractured unless you include everyone. Very often nurses are not seen as an important part of the team and that is something that has to change. In my experience medics such as anaesthetists and surgeons understand the importance of an inclusive team but are often disengaged from that when decisions are planned or taken in practice. It is important to recognise that the team in practice consists not only of nurses and ODPs, but healthcare assistants (HCA) and other non-registered staff that we all work alongside every day, and are a critical part of the process of delivering safe healthcare. Engaging the nursing voice is crucial for the development and delivery of safe standardised and effective care. We simply can’t do without them and that is something I will highlight. 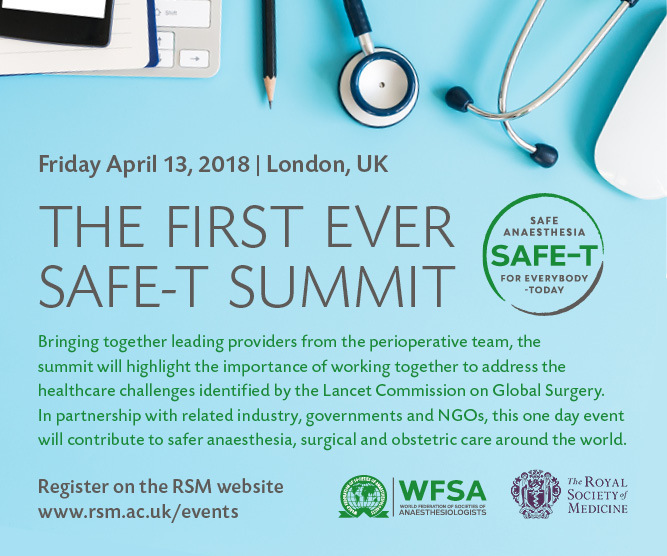 To learn more about the SAFE-T Summit and to register please click here. Mona Guckian Fisher is an Independent Clinical Consultant, the immediate past president of the Association for Perioperative Practice (AfPP), and president elect for the International Federation of Perioperative Nurses (IFPN). Involved in the delivery of perioperative services for over 35 years, she has worked as a staff nurse, theatre sister, theatre manager and hospital matron in a variety of settings in the UK and Ireland. Mona has served on the board of the European Operating Room Nurses Association (EORNA) and IFPN, providing support and expertise to help influence the direction of perioperative services across Europe and the international healthcare community; and continues to represent AfPP on a number of forums that are focussed on the patient safety and quality agenda.